Wader Quest: Little Curlew tracking project update. Little Curlew tracking project update. It has been a bit over a month since the last Little Curlew update and we have some news to report. The most interesting thing that has happened since the last update is that LC 131943 has kept moving north. It arrived on the coast of China between 19th of June and 24th of June landing between Hong Kong and Shantou. On the 28th of June it was on an island 60 km east of Fuqing, in the Putian region (where 131945 and 131947 also stopped on migration). From here, it moved to Rudong, where it was on the 3rd of July. It then moved to an inland lake near Yishui around the 8th of July, about 110 km north west of the coastal town of Rizhao. Four days later it was back on the coast, having moved 120km from its previous location. 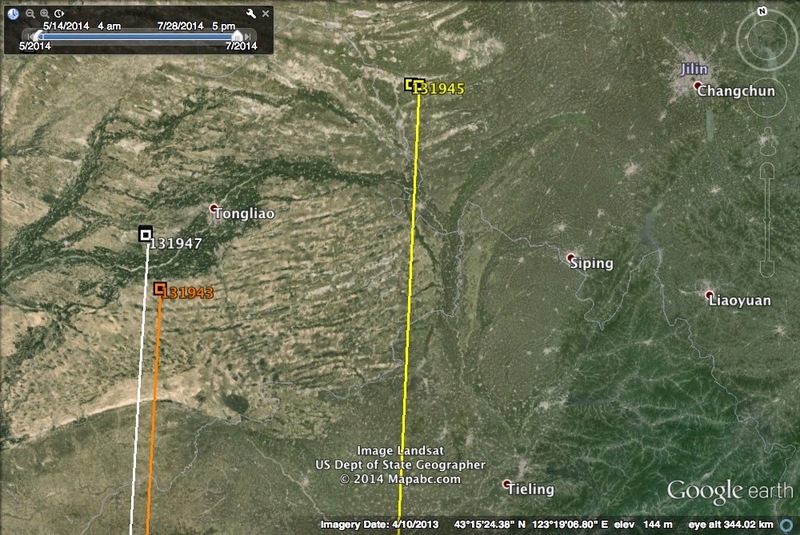 It moved a further 150 km south to an area near Liangungang (where 131947 also stopped over in early June). 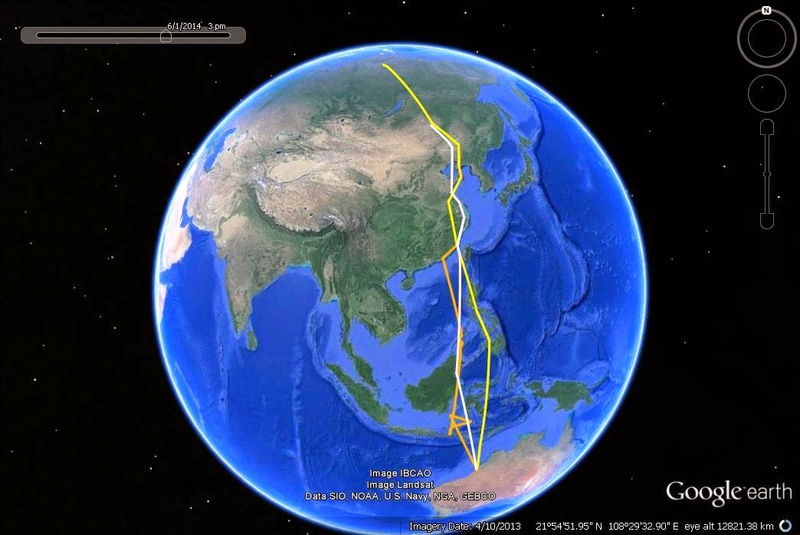 In the last few days, between 26th and 28th of July, this bird made a long flight of 1000 km north straight over the Yellow Sea to an area in the south eastern part of Nei Mongol province. Its last fix is just 30 km south of where 131947 stopped here in early June, and 160 km south west of where 131945 stopped in mid-May. Track of 131943 since last update (16th June).Map supplied by Inka Veltheim. Location of stop over for all three birds in the Nei Mongol province after crossing the Yellow Sea.Map supplied by Inka Veltheim. 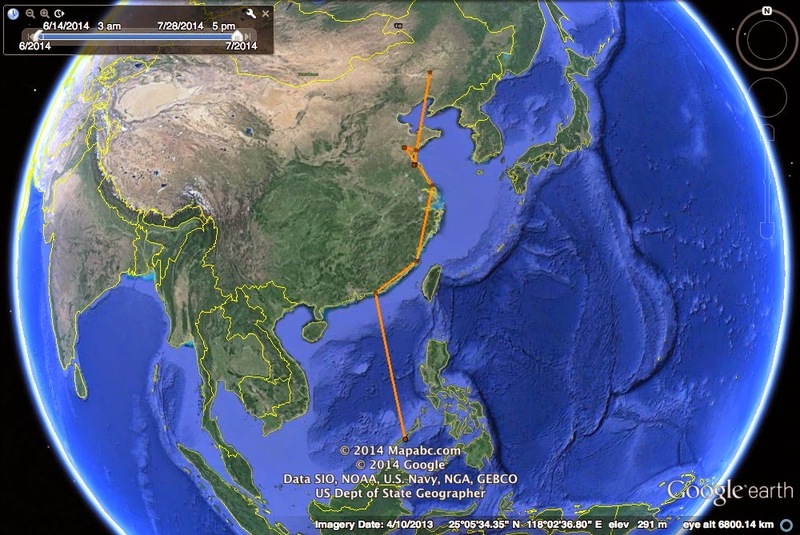 Just in the last few days, the bird on the breeding grounds (131945) has begun making its way south. Its departure date was between 23rd and 27th of July. 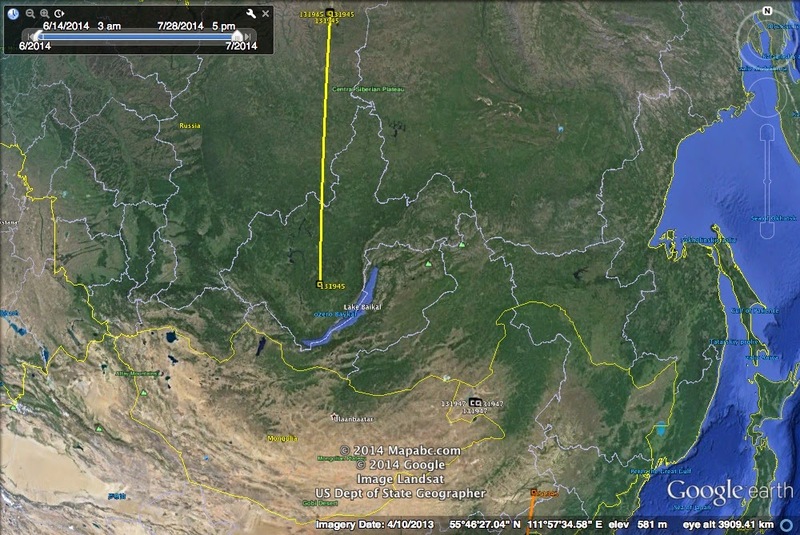 It has flown 1600 km directly south and is currently at the Lena River, some 250 km from Lake Baikal. This bird spent almost exactly two months on the breeding grounds. Track of 131945 on southward migration (showing 131943 and 131947 current locations). Map supplied by Inka Veltheim. Little Curlew 131947 remains at Hulun Lake, where it has now been for six weeks. Full tracks of all birds (data to end of June mapped).